Alexandria has made its mark on the Northern Virginia scene. Located within an hour of Washington D.C. it is full of diverse shops, entertainment and a rich history which makes it a prime spot to visit or settle down. Right on the Potomac River, Alexandria offers scenic and informational boat tours. Smart Choice Cleaning is experienced in both Residential and Commercial cleaning. We specialize in Carpet, Tile, Grout, and Upholstery Cleaning, Rug Cleaning, Maid and Janitorial Services, and Water Damage Restoration. Learn more about our cleaning services in Alexandria, VA. Located right off the Capital Beltway and intersecting I-95, I-395 and only 20 minutes from Ronald Reagan National Airport, Springfield is a commuter’s ideal place to live. Marked by Springfield Town Center which offers a variety of dining and shopping options as well as its own share of unique parks and recreation. Today, Smart Choice Cleaning is Northern Virginia’s cleaning leader, offering residential and commercial cleaning solutions that include: routine maid services, specialty maid services, carpet and upholstery cleaning; tile and grout cleaning; and commercial janitorial services. Learn more about our cleaning services in Springfield, VA.
Part of the DC metro area, Northern Virginia is an amazing place. With businesses, locations and people unique only to the area, Northern Virginia is truly a one of a kind place. Northern Virginia and the surrounding areas have always been part of our home, and we are proud to serve the community. Smart Choice Cleaning is a professional, family-owned company offering maid services, carpet cleaning, upholstery cleaning, janitorial services, tile and grout cleaning, and more for businesses and nonprofit organizations across Northern Virginia. Learn more about our cleaning services in Northern VA.
West Springfield is located about 30 minutes away from the nation’s capital. It is close enough where you can enjoy the vast array of museums that are free of charge. Smart Choice Cleaning is West Springfield’s cleaning leader, offering residential and commercial cleaning solutions that include: routine maid services, specialty maid services, carpet and upholstery cleaning; tile and grout cleaning, post constructional cleaning, water damage; and commercial janitorial services. Learn more about our cleaning services in West Springfield, Va.
Burke is an affluent Washington D.C. suburb located in Fairfax county. It is also the largest community in Virginia, making us proud to provide our cleaning services to the area. Smart Choice Cleaning is a professional, family-owned company offering maid services, carpet cleaning, upholstery cleaning, janitorial services, tile and grout cleaning, and more for homes, businesses and nonprofit organizations across Burke Va. Learn more about our cleaning services in Burke, Va. The City of Fairfax is an independent city in the Commonwealth of Virginia. Located just 20 minutes from Washington, D.C., the city’s attractive blend of commercial, office, retail, and residential properties combines the charm of a small town with the opportunities of a thriving urban area. Today, Smart Choice Cleaning is Northern Virginia’s cleaning leader, offering residential and commercial cleaning solutions that include: routine maid services, specialty maid services, carpet and upholstery cleaning; tile and grout cleaning; and commercial janitorial services. Learn more about our cleaning services in Fairfax, Va.
Fairfax Station is an affluent community in Northern Virginia; its center is located 22 miles southwest of Washington, D.C. It is located in western Fairfax County, between Clifton to the west, Burke to the east, and the city of Fairfax to the north. With its rich and extensive history, we are proud to serve Carpet, Tile, Grout, Upholstery Cleaning, Rug Cleaning, Maid Services, Janitorial Service, and Water Damage Restoration to the residents of Fairfax Station, Va. Learn more about our cleaning services in Fairfax Station, VA.
Woodbridge is a town in the eastern part of Prince William County in Northern Virginia. It is home to Potomac Mills Mall, one of the largest Outlet Malls in Northern Virginia. Woodbridge offers a wide range of amenities as well as recreational opportunities for resident and visitors. Smart Choice Cleaning is experienced in both Residential and Commercial cleaning. We specialize in Carpet, Tile, Grout, and Upholstery Cleaning, Rug Cleaning, Maid and Janitorial Service, and Water Damage Restoration. Learn more about our cleaning services in Woodbridge, VA.
Stafford County is a county located in the Commonwealth of Virginia. Located across the Rappahannock River from the City of Fredericksburg, Stafford County is part of the Washington-Arlington-Alexandria, DMV Metropolitan Statistical Area. Stafford County has a commitment to providing a welcoming, inclusive, and safe community for all residents and visitors. At Smart Choice Cleaning, we also value the Stafford Country community by providing only the best of our services to its residents. We specialize in Carpet, Tile, Grout, Upholstery Cleaning, Rug Cleaning, Maid Services, Janitorial Services, and Water Damage Restoration. Learn more about our cleaning services in Stafford Country, VA. The Town of Dumfries is strategically located in the Greater Washington D.C. Metropolitan region with access to 36 universities and 18 community colleges. With its proximity to I-95, a primary north/south interstate, they provide residents with easy access to the Nation’s capital and major markets in the Mid-Atlantic region. Smart Choice Cleaning is experienced in both Residential and Commercial cleaning. We specialize in Carpet, Tile, Grout, and Upholstery Cleaning, Rug Cleaning, Maid and Janitorial Service, and Water Damage Restoration. Learn more about our cleaning services in Dumfries, VA.
Arlington is a small suburban county that borders Washington, DC. Home of The Pentagon, Arlington National Cemetery and Reagan National Airport, this small yet ambitious town offers several attractions. From shopping and eatery areas in Roslyn and Crystal City to the nightlife in Clarendon. There is always something to do for both locals and tourist. Arlington has the best of both worlds, with its suburban aesthetic and easy access to everything the nation’s capital has to offer. Smart Choice Cleaning is honored in providing services to this area. Learn more about our cleaning services in Arlington, VA. This culturally diverse community is part of the DC metro area as it neighbors Arlington county and is only about 10 miles from Washington, DC. The City of Falls Church has bits of urban feel while being surrounded by the suburbs. With attractions such as the Eden Center filled with Vietnamese restaurants and shops, to other shopping centers and local eateries spread across the city. We offer all types of cleaning services from deep cleaning, post construction, and water damages. Learn more about our cleaning services in Falls Church, VA. The beautiful town of McLean is a neighboring suburb of both Tysons corner and Great Falls. Filled with scenic views and home of several activities from Great Falls Park to Rock Creek. There is always something perfect for family and friends to do. McLean also has easy transportation access to Maryland and Washington, DC along the George Washington Memorial Pkwy. At Smart Choice Cleaning, we are honored in servicing the area of McLean. Learn more about our residential and commercial cleaning services in McLean, VA. Located Northeast of Washington, DC, just along the outskirts of 395, the town of Lorton is a quiet suburb escape from the city. The community of Lorton is diverse and has great tourism spots such as Mason Neck State Park and Pohick Bay Regional Park for family outings. Not too far from the city or neighboring towns of Woodbridge and Alexandria. Smart Choice are experts in maid and janitorial services. Learn more about our residential and commercial cleaning services in Lorton, VA.
Also located in Fairfax county, Annandale offers a diverse variety of shopping and cuisines to the DC metro area. Home of Mason District Park and the Annandale Farmers Market, to the popular street-Thai eatery called the Block. 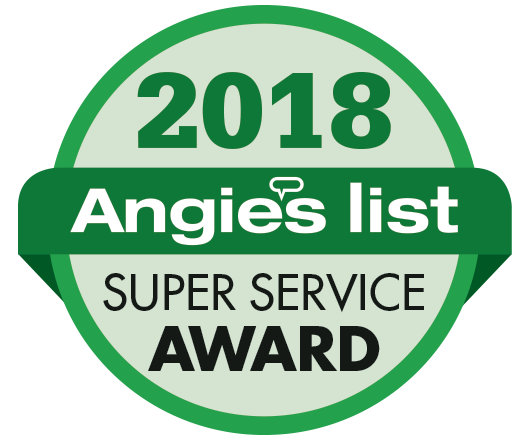 Smart Choice specializes in a variety of cleaning from water damage, carpet, to maid services and enjoy providing services to the Annandale community. Learn more about our residential and commercial cleaning services in Annandale, VA.
Part of Fairfax county, the town of Reston is only about 23 miles east from the nation’s capital. Reston is a great suburb area containing a selective variety of local attractions; From paddle-boating with family and friends, to exploring foods and shopping stores in Reston Town Center. Smart Choice has been the right choice for carpet, maid, and water damage cleaning for Reston residents for years. Learn more about our residential and commercial cleaning services in Reston, VA.
Chantilly is another suburb in Northern Virginia, known for its historical sites and overall quiet neighborhoods. This town is well-known for the Smithsonian National Air and Space Museum and for Dulles Expo Center. The team at Smart Choice are proud to service Chantilly with professional cleaning services. Learn more about our residential and commercial cleaning services in Chantilly, VA.
Vienna is a suburb neighborhood bordering Tysons Corner, the city of Fairfax, and Oakton. The beauty of Vienna consists of well-maintained roads and gardens. From beautiful outdoor scenery at nearby Great Falls Park, to Wolf Trap Park’s outdoor concerts and Meadowlark Botanical Gardens. We offer a wide range of services for both residential and office buildings. Janitorial services, home cleanings, and carpet cleaning are a few examples of what we offer. Learn more about our residential and commercial cleaning services in Vienna, VA.
Tysons Corner is a growing urban sensation located within the DC metro and Northern Virginia region. This suburban area is mostly known as the business headquarters for several companies and popular attractions for tourist and local. Home to Tysons Corner Center, Tysons Galleria, and authentic high-end restaurant chains, there is something for everyone. At Smart Choice, our mission is to ensure the highest quality of cleaning services within the DC metro area. Learn more about our residential and commercial cleaning services in Tysons, VA.
Centreville is located within Fairfax county about 25 miles West along George Washington Memorial Pkwy to Washington DC. This area is known for its quiet suburb neighborhoods and friendly attractions, including Ellanor C. Lawrence Park and Bull Run Regional Park. Natural beauty makes Centreville one of the calmer settings located in Northern Virginia. We enjoy offering a variety of cleaning services in Centreville. Learn more about our residential and commercial cleaning services in Centreville, VA.
A designated area in Prince William county, the town of Triangle is surrounded by nearby water — Quantico Creek and the familiar Marine Corps Base in Quantico. Triangle is also a unique area that consists of several spots to explore with family and friends. To local and tourist attractions such as the National Museum of Marine Corps, to the beautiful scenic routes along Prince William Forest and Leeslyvania State Park just to name a few. Our team of professional cleaners are privileged and honored in providing high quality care and services to the area of Triangle. Learn more about our residential and commercial cleaning services in Triangle, VA. The town of Manassas is part of Prince William county and is enriched with several historical spots for locals and tourist to enjoy. Friendly family outings such as Splashdown Waterpark to adventures in Manassas National Battlefield Park and the variety of shops at Old Town Manassas. Our services include carpet, janitorial, upholstery cleaning and maid services. Learn more about our residential and commercial cleaning services in Manassas, VA. Located within Prince William County, is the town of Quantico VA. Here you will find one of the largest United States Marine Corps base, the FBI Academy, the USMC War Memorial, and much more. The town itself is very small with a population of about 561 people most of which are military personel. We at Smart Choice understand Quantico residents are busy with work and outings which is why we are proud to provide professional cleaning services such as carpet, move-in, and post-construction. Learn more about our residential and commercial cleaning services in Quantico, VA.
Nestled along the Potomac river is the town of Great Falls named after the National Park that surrounds the area. This small Northern Virginia community is known for its running paths, hiking trails, and their neighborhoods hidden within the woods off the beaten path. Our Smart Choice Cleaning professionals can handle a job of any size ranging from carpet cleaning, upholstery, general maid services and much more. Learn more about our residential and commercial cleaning services in Great Falls, VA. Throughout Loudoun County VA, you will see a mixture of new developments, historical landmarks dating back to the civil war, and rolling hills of farmland. Within the county, reside the cities of Ashburn, Sterling, Leesburg, Lovettsville, Aldie, and more. With a population of over 398,080 this makes it the third most populated county in Virginia. With our team of professionals, Smart Choice Cleaning can satisfy all of your cleaning needs. Learn more about our residential and commercial cleaning services in Loudoun County, VA.
At Smart Choice Cleaning we also serve the area of Fairfax Station, VA. Located 22 miles from Washington DC, this Northern Virginia town is home to many recreational activities like golf, camping, boating, fishing, and much more. At Smart Choice, our mission is to ensure the highest quality of cleaning services within Fairfax Station. Learn more about our residential and commercial cleaning services in Fairfax Station, VA.
Ashburn is located to the east of Washington, DC within Loudoun county. This rural community is filled with peaceful bits of nature and tons of modern amenities. There are also several attractions near by like One Loudoun and Top Golf to keep everyone entertained. At Smart Choice we will work with your active life style to provide the finest cleaning service in Ashburn. Learn more about our residential and commercial cleaning services in Ashburn, VA.
South Riding is a suburb of Washington, DC and located only 20 minutes from Dulles International Airport. This fine community is in Loudoun County and is know for its spacious outdoors. With about 24,000 residents the family friendly area of South Riding is lively yet safe. At Smart Choice we strive to keep your house safe for your family and friends safe by using non-toxic, environmentally safe cleaning solution. Learn more about our residential and commercial cleaning services in South Riding, VA.
Mostly known for its historic background, Leesburg is a close knit community that serves Loudoun County. This area contains an excellent school system, spacious parks, and a large outlet mall. The Leesburg community is family oriented and has rapid expansion in its commerce sector. Along with the rapid business growth Leesburg contains an assortment of larger homes for families looking to settle down. At Smart Choice Cleaning we have several professional services for both businesses and homes alike. Learn more about our residential and commercial cleaning services in Leesburg, VA. Located next to the Dulles Toll Road, Herndon is a peaceful area which is home to more than 24,000 happy residents. Herndon contains a great mixture of spacious land and convenient markets. With Dulles International Airport around the corner, Herndon residents have easy access for quick traveling and low stress trips. The spacious land within Herndon is home to quiet yet large suburban homes. Smart Choice Cleaning is dedicated to working with the busy schedules of our customers while providing remarkable service. Learn more about our residential and commercial cleaning services in Herndon, VA. The town of Sterling is located north of Rt. 66 and within the Loudoun County limits. What once was a small rural town is now a flourishing suburbia which is home to many businesses including the headquarters for the National Weather Service. Although Sterling has grown quite a bit, the 27,000 residents of this lovely town enjoy many recreational activities including, hiking and outdoor sports. With the growing population there are many opportunities for your home or office to become cluttered. Smart Choice cleaning offers their highest quality services to both residential and professional areas. Learn more about our residential and commercial cleaning services in Sterling, VA.
Dulles, VA is a small metropolitan community located within Loudoun County. Known mostly for the Dulles International Airport, Dulles is home to individuals who enjoy their proximity to an international hub. Dulles residents have many accommodations to enjoy such as restaurants and shopping malls. At Smart Choice Cleaning we know that families are often on the go and need a speedy cleaning service that is second to none in customer satisfaction. Learn more about our residential and commercial cleaning services in Dulles, VA.
Dale City rests 25 miles south of our nation’s capital as a neighboring city to Woodbridge. As many families call home to the residential side of Dale City, many companies call home to the business side. With shopping centers like the outlet mall of Potomac Mills near by, there is never a lack of things to do. The 73,000 residents of Dale City take pride in the cleanliness of their homes and businesses and we do too. Smart Choice Cleaning respects your home or office as if it was our own. Learn more about our residential and commercial cleaning services in Dale City, VA. The historic town of Franconia derives its name from the “Frankhonia farm” which contained 191 acres in the 1800’s. While being a part of Fairfax County, Franconia has about 18,000 residents who enjoy easy access to D.C. Franconia remains to be a solid transportation hub for many commuters who ride the metro everyday. No matter if it’s a professional cleaning service for your home or your office, Smart Choice Cleaning has an assortment of services to tailor to your needs. Learn more about our residential and commercial cleaning services in Franconia, VA.